‘Monoblock Vacuum Filler’ is the combination of Rotary Vacuum Level Filler & Rotary ROPP Cap Sealer. These Fillers are also ‘LEVEL FILLERS’ and maintain same level while filling specific container sizes. 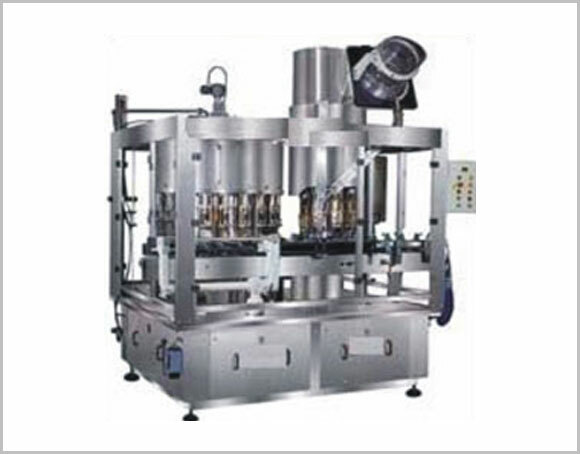 Automatic feeding of caps onto bottle neck is ensured with the help of suitable cap feeder fitted on the top of the sealing section of the machine. TO FILL & SEAL : LIQUOR, BEVERAGE, JUICE, MILK, MINERAL WATER IN GLASS, PET / PVC / HDPE / LDP BOTTLES / CONTAINERS WITH ROPP / GUALA CAPS & ALSO MINIATURES.